Switch EV Global (SEVG) have the ability to manufacture custom electric vehicles that are uniquely designed to perform a cost saving task. 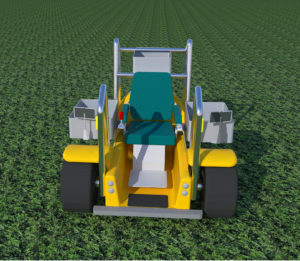 Electric propulsion is ideal for vehicles working in close range of the crop. There are no toxic emissions and verbal communication is not marred by high decibal motor sound. The e3 SCV (pictured here) < is a current prototype under development. It is designed for inspection of overhanging product such as Kiwi fruit. 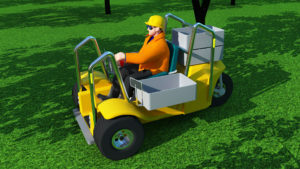 It has front walk in entry, simple joy stick control, convenient product storage and can be governed for maximum speed. For some vehicles fully remote control can be incorporated by downloading a password secured app to your mobile phone. 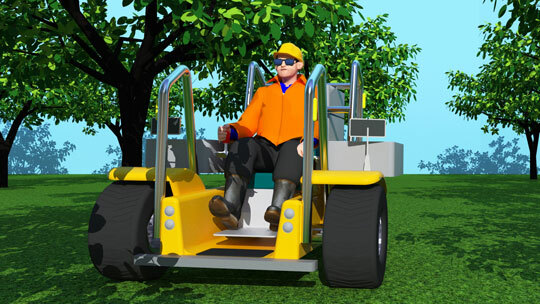 Should you be seeking better ways to perform some horticulural task, that requires a vehicle of some sort, then we may be able to assist in the design and construction. We have the experience backed by computer design and electrical and mechanical manufacturing facilities.